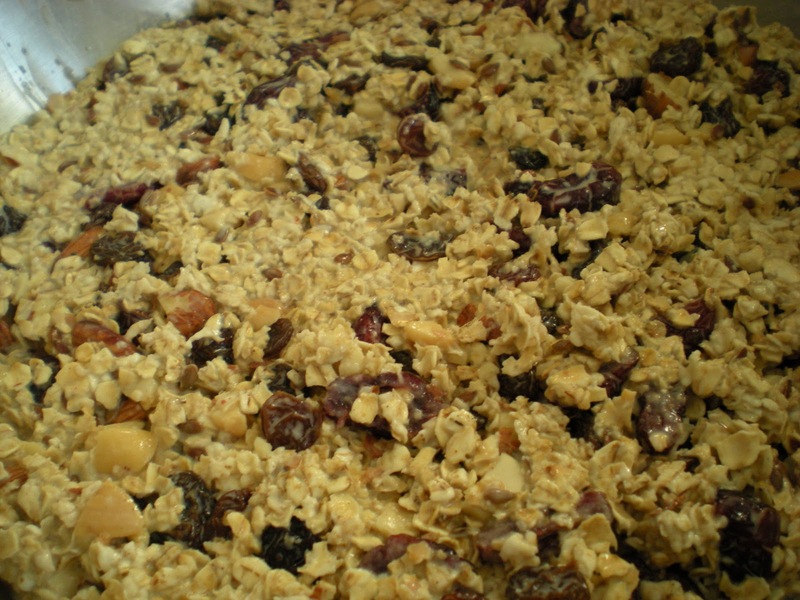 Have you ever made granola bars? What is your favorite one? It is not very often that I use oats for baking. I tend to use it to make oatmeal for breakfast or simply mix it in yoghurt. I know that there are endless possibilities of using oats such as in cherry crisps, date squares and sweet granola bars. 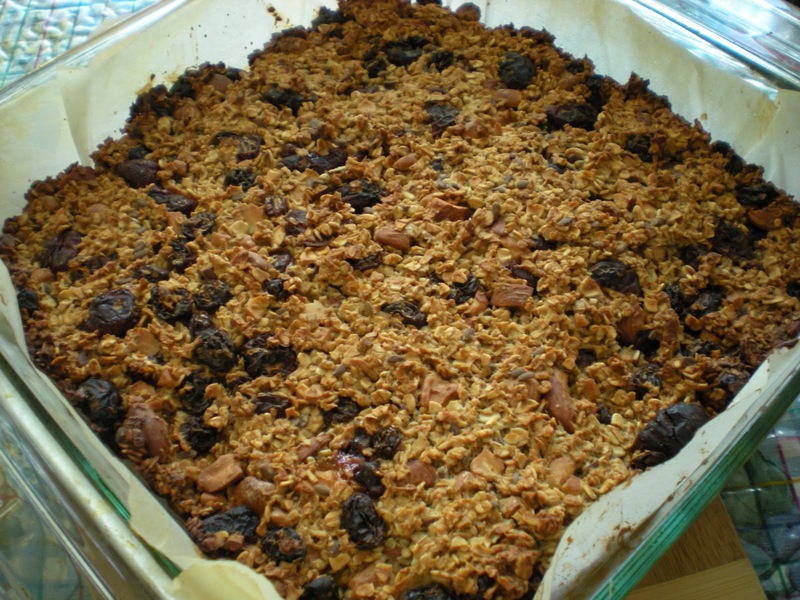 This time, I decided to try and make my own granola bars which is totally Victor. The inspiration came from what I usually put in my Corn Flakes. As some of you know, this cereal does not contain any flavors nor sweeteners. Apart from milk, I usually add dried fruits, chopped almonds and a teaspoonful of flax seeds in my cereal (a good source of Omega-3). 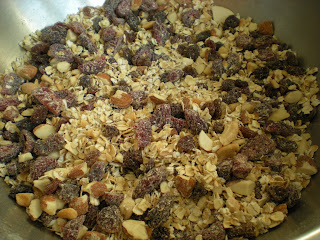 So I translated these ingredients into making the granola bars. 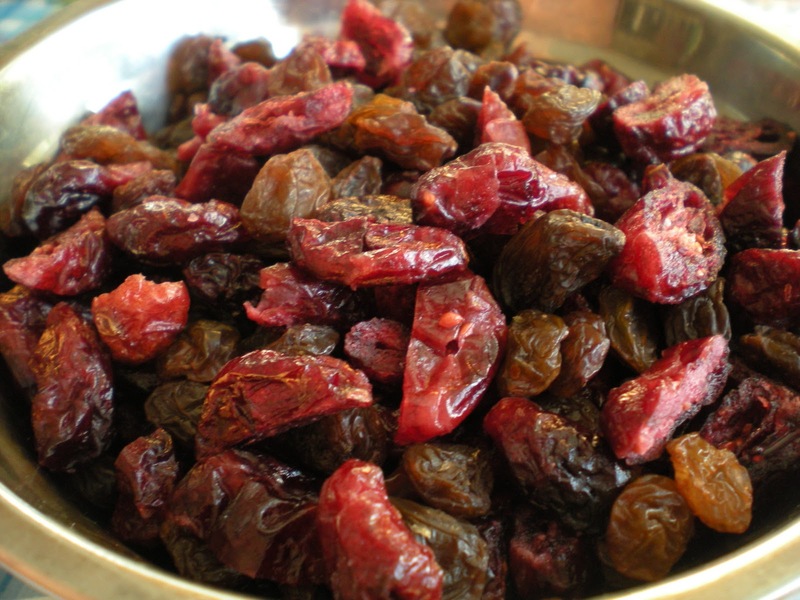 No sugar were added, the only source of sweetness originates from the dried fruits. The texture was a bit weird in a good sense. The granola bars were crunchy on the day that were baked. Strangely, store it in plastic wrap and leave it at room temperature overnight, its texture becomes slightly chewy. These granola bars are healthy, nutritious and great for snack on. If you want to sweeten up, add 1/4 to 1/2 cup brown sugar along with the dry ingredients or dip these granola bars in your favorite yoghurt. 2. Oil a 8'' x 8'' baking pan. Line it with parchment paper and lightly oil. 3. 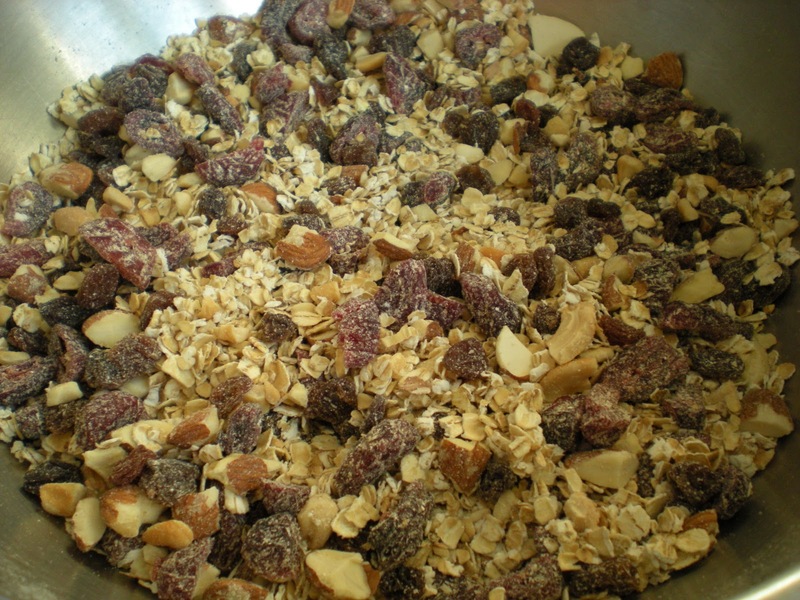 In a large bowl, combine quick oats, dried fruits, chopped almonds, flax seeds, cinnamon. 4. In another bowl, combine wet ingredients and whisk in the egg. Gradually fold into dry ingredients. If necessary, add more oats if all the milk is not fully incorporated. 5. 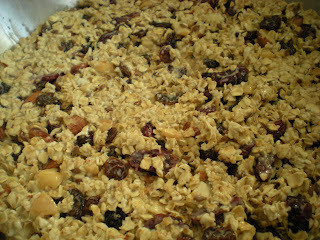 Transfer mix to prepared dish. 6. Bake for 45 mins. Serve. Perfect snack on the go. Love bars like this but did not make them often enough, got to make one real soon! 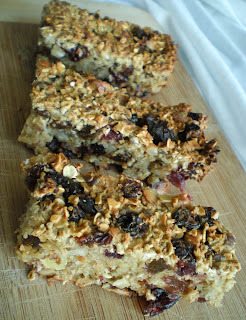 Perfect for breakfast on-the-go or a quick and healthy snack..
Ah the granola bar, so much more worth making your own. I like that chewiness that comes from the next day. Oh yes the log, totally remember! Woww feel like munching some, prefect looking breakfast bars.. These look great. 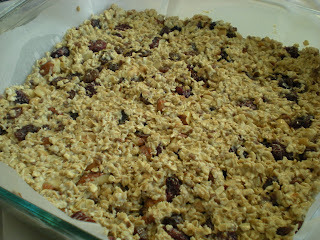 I've never made granola bars before, but I'm sure it's much cheaper than buying them from the store. And I bet they taste better too. 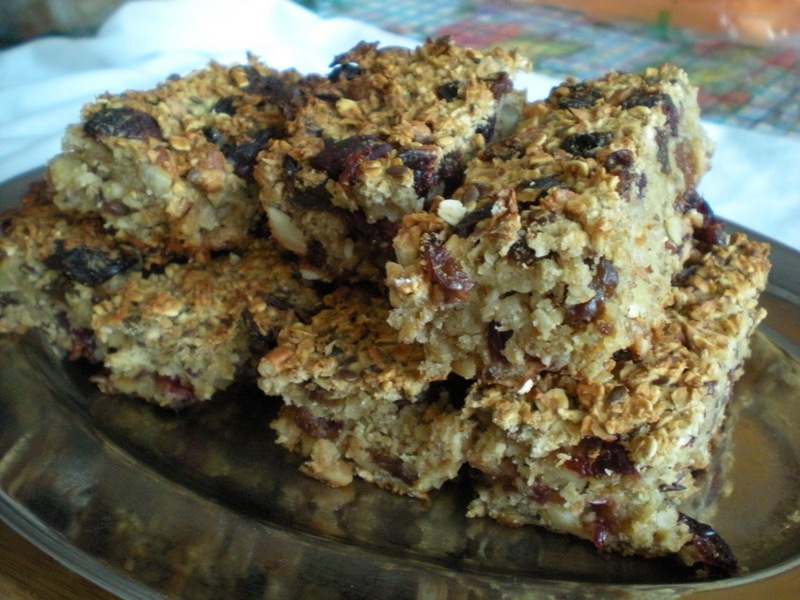 Delicious healthy bars, ideal for breakfast. Home made is always best compared to store bought ones. Such a healthy and yummy bars! How this taste without sugar? It's me again! Just stopping by to let you know that I have an award to share with you. Please do drop by when you can to collect it. Thank you! Those look so healthy and addictive! I love oatmeal bars. These look like such a yummy and healthy treat. My daughter loves oatmeal fruit bars. I know she'll want to try making these!